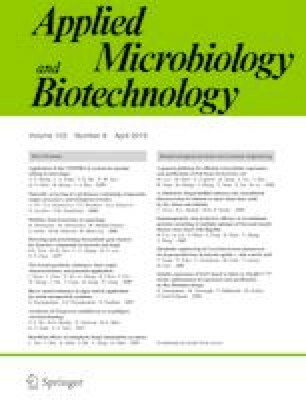 This study described the production, characterization, and application of monoclonal antibodies (mAbs) against porcine circovirus type 2 (PCV2). Twelve stable hybridomas were produced by immunization with purified PCV2a/LG strain and characterized by immunoperoxidase monolayer assay (IPMA), Western blotting, and neutralization assays. All mAbs could react with the PCV2 Cap protein and neutralize PCV2a/LG strain. One of them, mAb 3A5, reacted to all PCV2 strains from PCV2a, PCV2b, and PCV2d and it could be applied to detect PCV2 antigen and antibodies. It was shown that the mAb 3A5 could be used to locate PCV2 antigen in PK15 cells and the inguinal lymph nodes of PCV2b/YJ stain-infected piglets. Furthermore, this mAb could immunoprecipitate the Cap protein in PCV2-infected PK15 cells. Meanwhile, a capture ELISA based on mAb 3A5 was developed and used to specifically test PCV2 antigen from cultures; a linear relationship was observed between the optical density at 405 nm of the ELISA and viral titers (200–12,800 TCID50/mL), with a correlation coefficient of 0.9999. Finally, a competitive ELISA based on mAb 3A5 was developed to specifically detect antibodies in PCV2-infected and immunized pigs, and its sensitivity was higher than that of the blocking ELISA. This study suggested that the mAb 3A5 could be used in several convenient and efficient methods for PCV2 clinical and pathological studies, as well as surveillance in pigs and seroconversion monitoring in the vaccinated pigs. This study was supported by the National Natural Science Foundation of China (grant no. 31873012), the Heilongjiang Province Natural Science Foundation of China (grant no. C2015064), and the National Key Research and Development Programs (grant no. 2017YFD0500903 and 2017YFD0501603). The experimental protocol was approved by the Animal Care and Use Committee of the Harbin Veterinary Research Institute (HVRI), and it was performed in accordance with animal care and ethics guidelines. The animal ethics committee approval number is Heilongjiang-SYXK-2017-009.